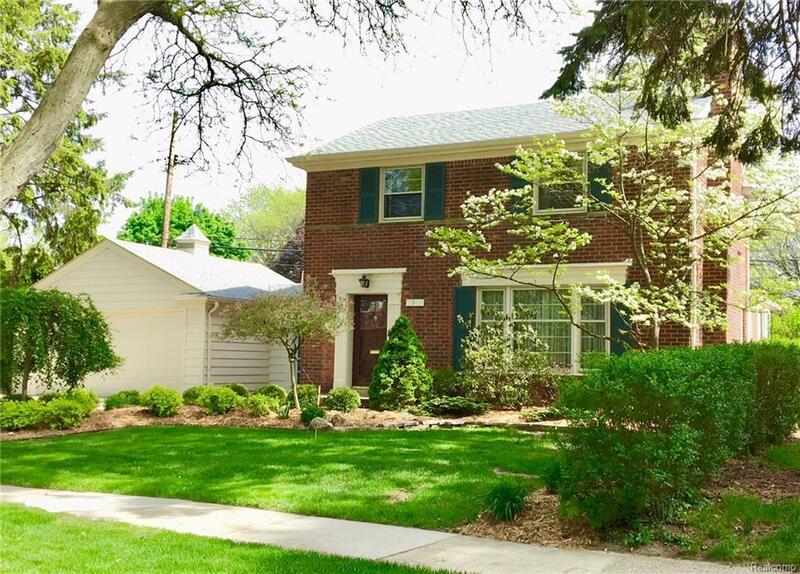 Classic all brick colonial in the desired Woodwardside community in Royal Oak. Beautifully maintained, spacious rooms include living room with fireplace and picture window overlooking professionally landscaped yard. There is a formal dining room, and a family room with another fireplace and a doorwall to the large patio and garden area. Exposed brick accents the family room, breakfast room and kitchen. Attached garage, mud room, and first floor full bath! Three beds and full bath upstairs. Partly finished lower level with rec room, work room and bright laundry room. Bring your decorating ideas, but don’t worry the roof, furnace, electric, landscaping, etc. has all been done. Unique lot offers entertaining, play, and greenspace! Immediate possession. Make Home Here.